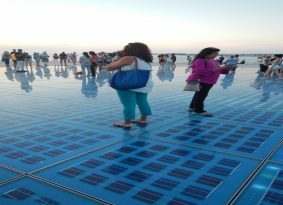 Sunset Tour to Zadar from your hotel or villa. 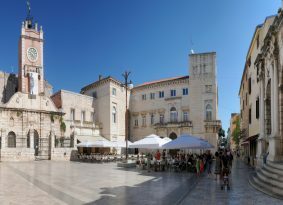 Zadar offers its visitors a unique fusion of a historic old town with Roman ruins, medieval churches, sophisticated cafes and excellent museums. 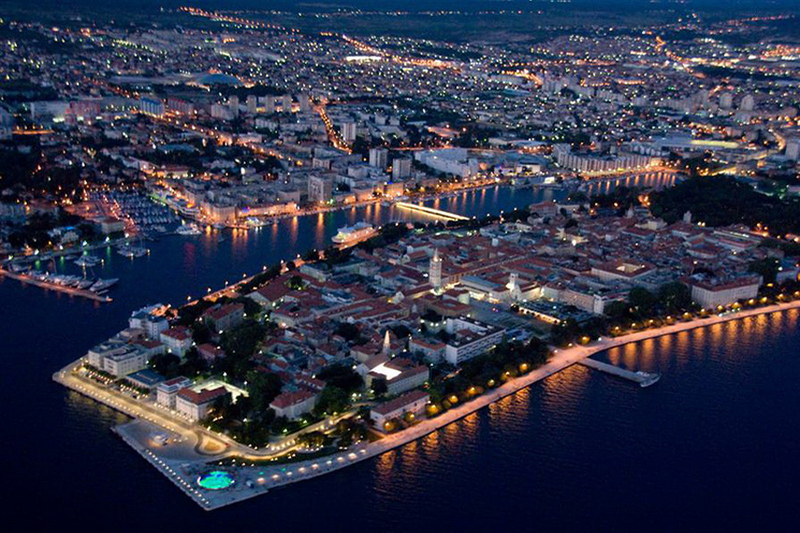 We will take you on a walk through 3000 years of history, from the period of Roman Empire to the present time. Some of the places to see are Land Gate, Square of Five Wells, park of Queen Jelena, Church of St. Donatus, Saint Anastasia Cathedral. 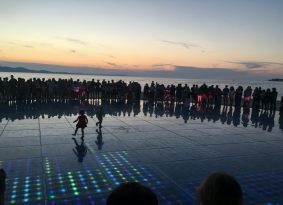 Sea Organ, the experimental musical instrument, which plays music by way of sea waves and tubes located underneath a set of large marble steps and Sun Salutation. 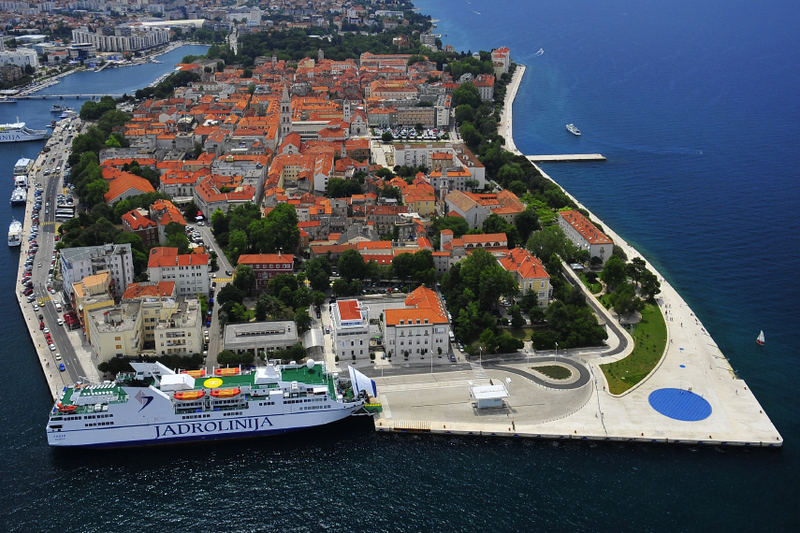 We will walk from the Land Gate of Zadar, through the Square of Five Wells and park of Queen Jelena. 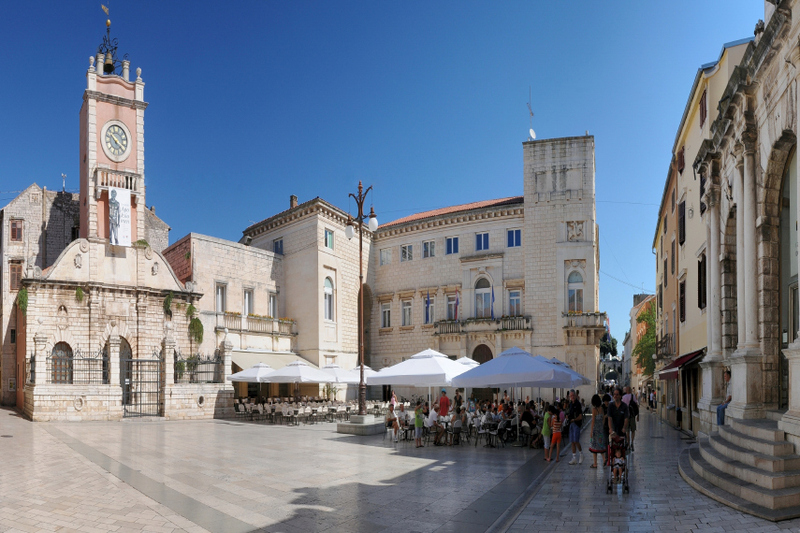 After that we will walk trough the most famous street called Kalelarga, the main street of the city since Roman times, until we reach the very heart of the town where the old interacts with the new. 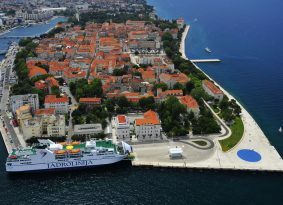 Here, you will see the symbol of the city – the Church of St. Donatus and the biggest cathedral in Dalmatia – Saint Anastasia Cathedral. 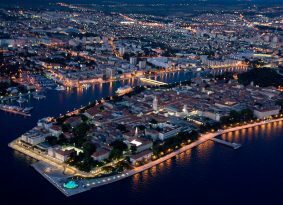 While waiting for the sunset you will have dinner at the restaurant serving Dalmatian specialties. After dinner sit on the coast side on the edge of the peninsula listening to the music that sea produces playing the Sea Organ. The highlight of our tour is undoubtedly the prettiest sunset experience you’ve ever come across. 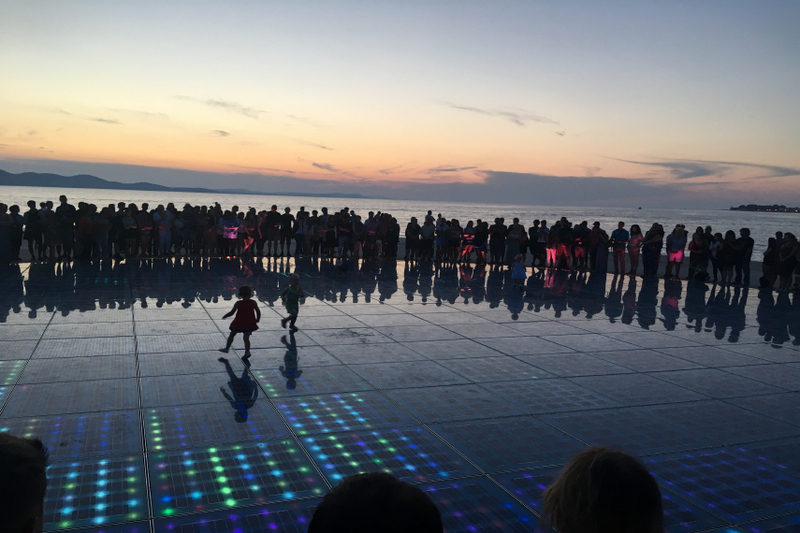 We will welcome the sunset in the most wonderful place in Dalmatia, experiencing the one-of-a-kind sound and light spectacle of the famous Sea Organ and Sun Salutation. 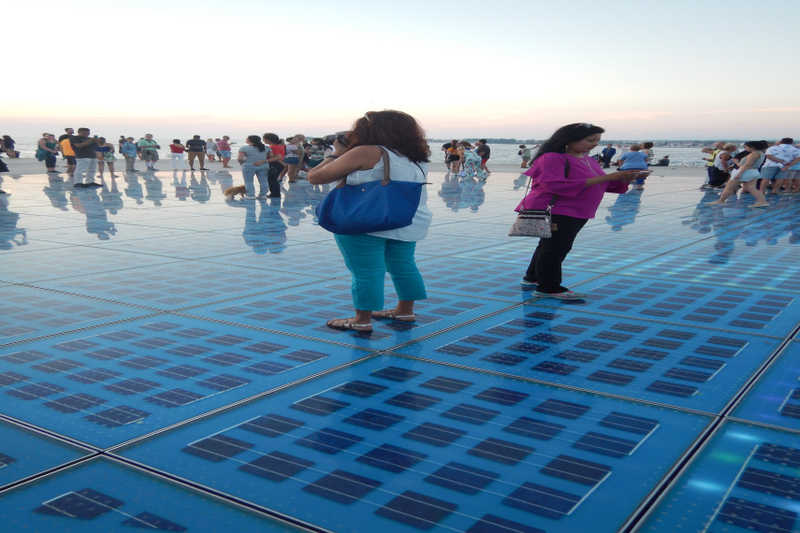 Price includes: Transportation with mini-van or bus, professional driver , 1h city guide tour with a Eng. guide, VAT..